Most businesses have business cards for their employees to give out and help them to feel important. If you have a “jobby” (a mixture between a job and a hobby) like the Two Blondes then you have a problem. There is no such thing as a “jobby card” so we Blondes have developed a calling card system of our own (we told you we have a system for everything). 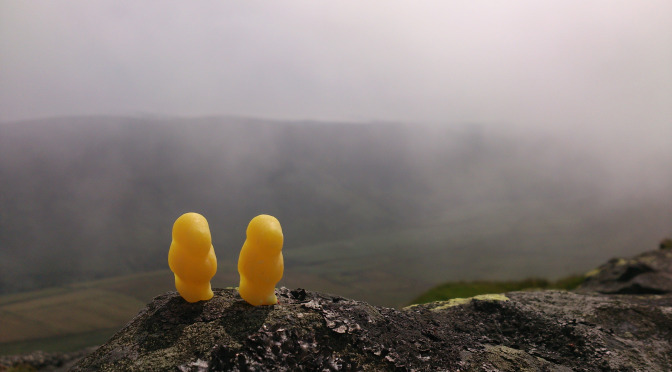 If you run a watering and feeding station that is often frequented by the Two Blondes, you will know that we like to leave two blonde (yellow) Jelly Babies as a thank you. We went to Fox Tor Cafe for lunch on Saturday, what blissfully delicious ploughman’s they serve there (we were only slightly disappointed by the lack of actual ploughmen). We stayed for a fair amount of time, our Blonde brains jumping from expedition to expedition, simultaneously planning and reviewing. 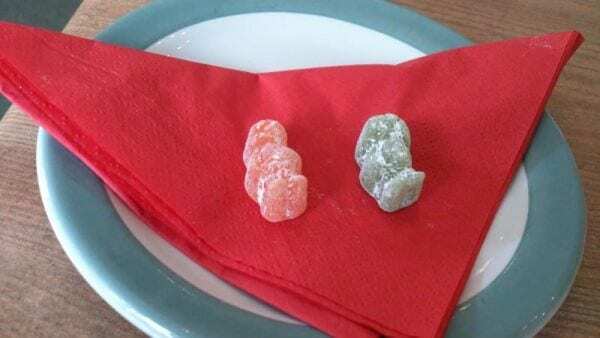 Imagine our joy when one of the delectable Foxy Ladies (we shall call her “M”) appeared with a beautifully presented plate of Jelly Babies for us. It really did make our day, especially as we had forgotten to bring our own little squidgy bundles of joy. So thank you “M” a lovely gesture much appreciated!